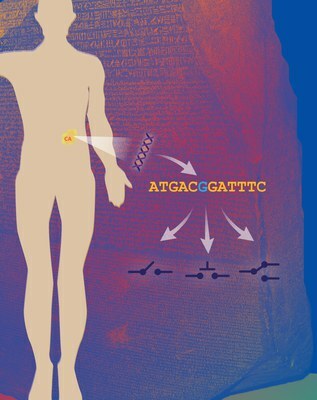 Since the human genome was decoded more than a decade ago, cancer genomics studies have dominated life science worldwide and have been extremely successful at identifying mutations in individual patients and tumors. However, using this knowledge to develop improved cancer therapies has been severely hampered by the inability of researchers to link the mutations in genes to their corresponding proteins, the targets of most pharmaceutical drugs. Researchers from the universities of Copenhagen, Yale, Zurich, Rome and Tottori have, in two landmark studies published in today’s CELL, unraveled how disease mutations target and damage the protein signaling networks within human cells on an unprecedented scale. The team has developed novel software that allows researchers to computationally translate the effects of cancer mutations on the function of proteins in individual patients. The studies, published back-to-back in CELL, demonstrate that kinases are not only simply switched ‘on’ or ‘off’ by cancer mutations but can also disturb other proteins and thereby drive normal cells to a more cancerous state. Advancing personalized and tumor-specific medicine. It is becoming increasingly apparent that the genetic basis for each tumor is subtly different. This realization has led to healthcare centers spending millions of dollars sequencing individual patients and their tumors with the aim of utilizing this patient specific information to develop tailored, personalized therapies, with much greater efficacy. It is hoped that the novel tools described in these studies can provide much needed assistance to clinicians and researchers worldwide in interpreting this data. The two studies are available today in advanced online publication and will be printed in the 24th September issue of CELL a premier journal in life- and biological sciences. More information about the studies and links to media content can be found on http://www.lindinglab.science and http://www.bric.ku.dk. The work was supported by the European Research Council (ERC), the Lundbeck Foundation and Human Frontier Science Program. The Biotech Research & Innovation Centre (BRIC) was established in 2003 by the Danish Ministry of Science, Technology and Innovation to form an elite centre in biomedical research.